Planning what to wear to a wedding can be very stressful - more so if you have multiple occasions in a short space of time (the year i got married i had 5 wedding including my own!!) so here are a couple of ideas - a mixture of highstreet and some higher end items but all perfect for wearing on that special day and looking chic. Cute & Flirty: This great little number reminds me of a mermaid, the colour palette is beautiful and quite sophisticated. The mixture of an intricate floral and the sequins is something a bit different but keeps the dress looking very modern. I really like the combination of the halter style and the full skirt, adds good proportion and balance so would be flattering on lots of body shapes. 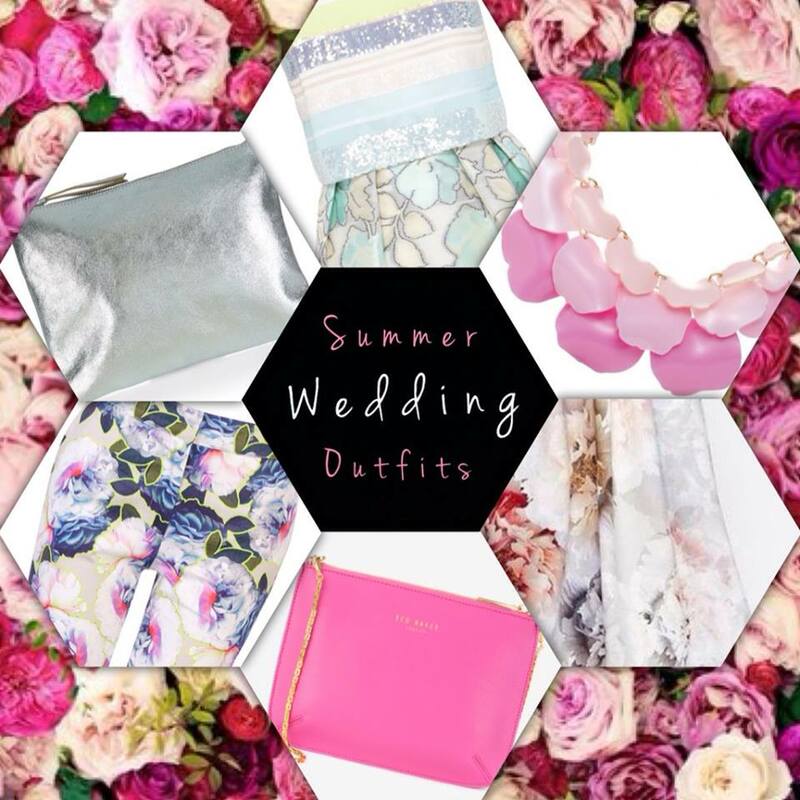 Teamed with a silver leather clutch and mint sandals this look would be perfect for any kind of wedding. Beautiful Boho: My favourite look - this gorgeous scuba maxi is the right mix of subtle floral and structure and great with a little sleeve as some people like to keep their arms covered. The double layer top is very on trend and flattering, plus makes the dress look more expensive than it is. 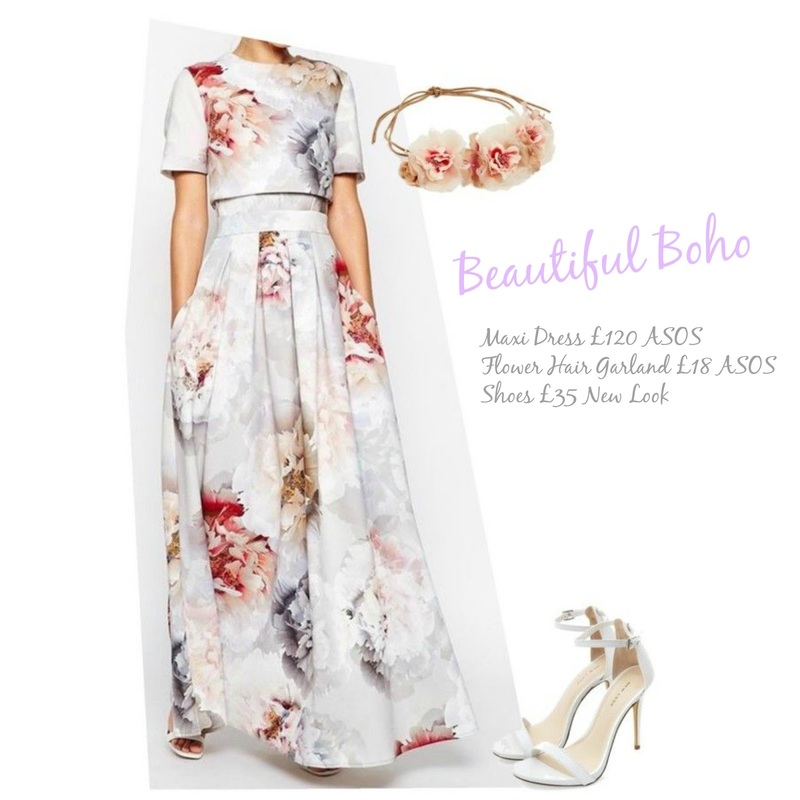 Wanted to keep the accessories simple for this look - its all about the feminine almost watercolour print - so teamed it with white sandals and a boho floral headband in a great peachy shade, picking out highlights from the dress palette. Really wish i had a wedding to wear this to, it's gorgeous. 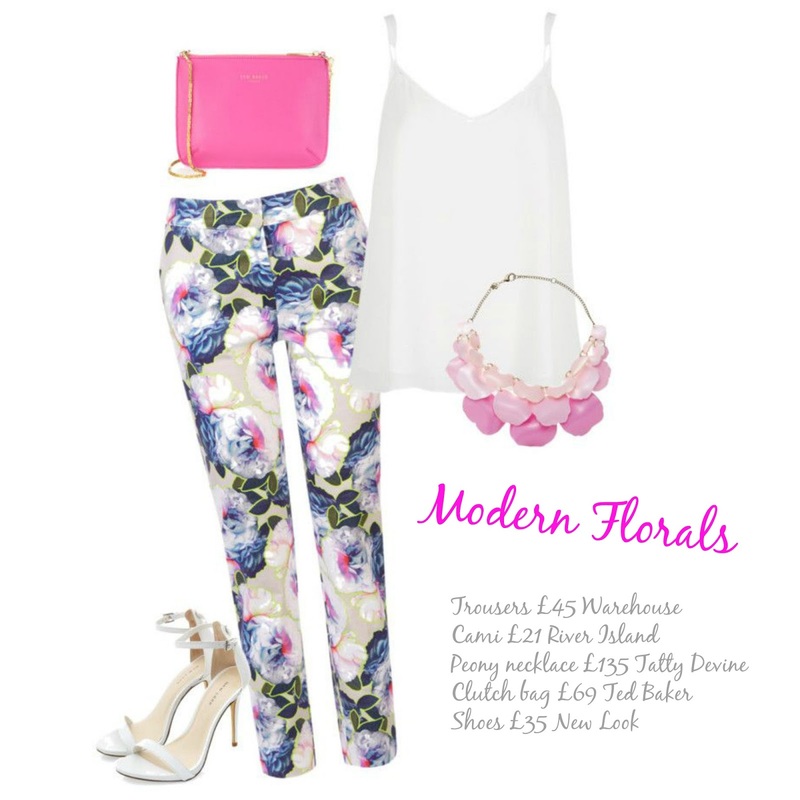 Modern Florals: The slightly controversial outfit pick - trousers for a wedding are a no no for some, but i think this statement floral pair are great, especially when mixed with the right accessories. Using the trousers as the base for this outfit, i have layered a floaty cami top, white heeled sandals and using the pink from the print added a few bright pops with the simple clutch bag and amazing oversized peony necklace (a tad pricey but the best necklace i have seen in ages and based on my favourite flower, which was in my bridal bouquet). A modern way to wear florals without wearing the traditional dress. Which would you choose - Cute & Flirty, Beautiful Boho or Modern Floral? ?